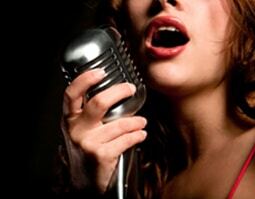 In-Home lessons by Janelle - Bring out your voice's best qualities. In-Home lessons by Janelle - Piano lessons for beginners to intermediate. 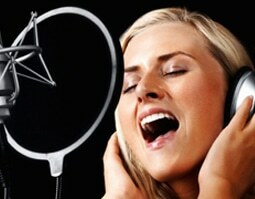 In-Home Voice & Piano Lessons - Combo lessons for voice and piano. "Miss Janelle has lots of experience as seen in her fun and engaging lessons. She picked out specific lesson books for our 5 year old son, which have age-appropriate homework assignments to reinforce the lesson. The piano/voice combo worked great for our 5 year old!" "My daughter has been taking piano and singing with Janelle for over a year. She is a patient and very creative teacher. She is good at teaching beginning and advanced concepts and theory. She is prompt and very organized. Janelle has been a great teacher for my 11 yr. old daughter. She is a talented pianist, singer and songwriter." "Janelle Finamore is fabulous! She took me through all these breath exercises and worked my voice. I can hit C6 with what she taught me and my falsetto has never sounded clearer. I Highly recommend her! Interested in taking your voice & piano to the next level?